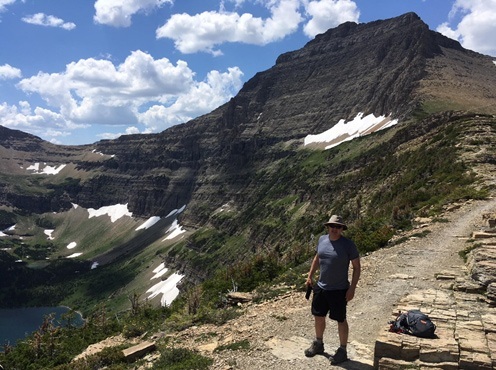 In July, 6 months after a medial meniscectomy with medial and lateral osteochondral allografts, I did a major backcountry hike in Glacier National Park in Montana. Previously, I was unable to walk down stairs. 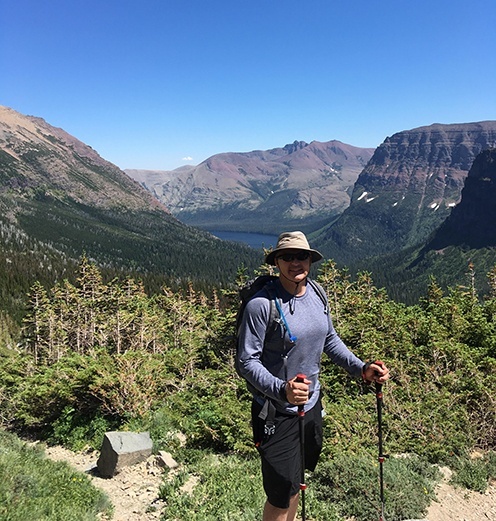 The ascent and descent was 37 miles in total, with 20,000+ feet of elevation change carrying a light 20 pound pack. I built up to this with a strong training program consisting of weekly hikes, some even with weights, all while listening to the post-operative advice and care that your team gave me. All went well, thanks to a lot of hard work and YOUR great team giving me one heck of a new knee. My son is off to college, and this trip provided us many wonderful moments with him. Meanwhile, Theresa cried-she looks forward to many more adventures with my incredible new knee. THANK YOU to the whole team! Cheers!